I was hiking with my sister Liz the other day on a Malibu trail in L.A. that cut into the backside of a mountain. On our way down, with her two dogs, she was steps in front of me when we both heard the eerily chilling sound (chk chk chk chk chk chk chk chk!) of a rattlesnake inches from our feet on the path. She lept a few feet, and yelled at the dogs to run and at me to back up. After we caught our breath, we realized that up there, on the hill, we had no snake bite kit, no extra water, no tools to fix things should we need to. But then I realized this: If we’d ever stopped to review all the possible dangers on the trip ahead, we may never have taken the trail in the first place. Really, it’s just like love. I know that in my single days, after being blown off or rejected by a few guys over a few months, I started avoiding situations with potential danger to my heart (i.e. rejection). But the fact is, if you want to gain the joy that life has to offer, you have to walk into dangerous spots where you might get your heart hurt. You may not get hurt—just like we didn’t get bitten—but sometimes you have to take the chance. 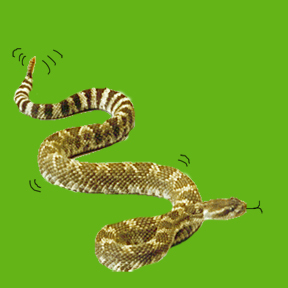 But of course, avoid the actual snakes (you know, the guys who will wring your sweetness dry) in your search for love! Now, they could kill ya. This entry was posted on Sunday, July 5th, 2009 at 12:45 pm	and is filed under In the big wild world.